Look, Smithers, Garbo is coming! 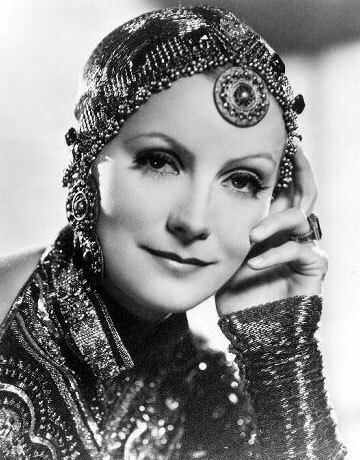 Photos of actress Greta Garbo (1905-1990). Greta Lovisa Gustafsson was born in Stockholm, Sweden on September 18th, 1905. She was 14 when her father died, leaving the family destitute. Greta was forced to leave school and go to work in a department store, where she was used her for her modeling abilities for newspaper ads. She had no film aspirations until she appeared in an advertising short at that same department store while she was still a teenager. This led to another short film when Eric Petscher, a comedy director, saw the film. He gave her a small part in the film, "Peter the Tramp" (1920). Encouraged by her own performance she applied for and won a scholarship in a Swedish drama school and there she appeared in two films, "En Lyckoriddare" in 1921 and "Luffarpetter" the following year. Both were small parts, but it was a start. Finally famed Swedish director, Mauritz Stiller, pulled her from drama school for the leading role in "The Atonenent of Gosta Berling" in 1923. At 18, Greta was on a roll. Following "Die Freudlose Gasse" (1925) both Greta and Stiller were offered contracts with MGM. Her first US film was "The Torrent" in 1925. It was a silent film - she didn't have to speak a word of English. 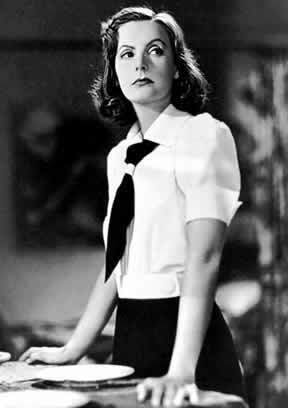 After a few more films, such as The Temptress" (1926), "Love" (1927), and "A Woman of Affairs" (1928), Greta starred in 1930's "Anna Christie" (her first 'talkie') which not only gave her a powerful screen presence, but also gave her an Academy Award nomination as Best Actress. (Incidently, this was the first annual Academy Awards.) Unfortunately she didn't win. Later that year she filmed "Romance" which was somewhat of a letdown, but bounced back as lead role in "Susan Lenox: Her Rise and Fall" opposite Clark Gable. 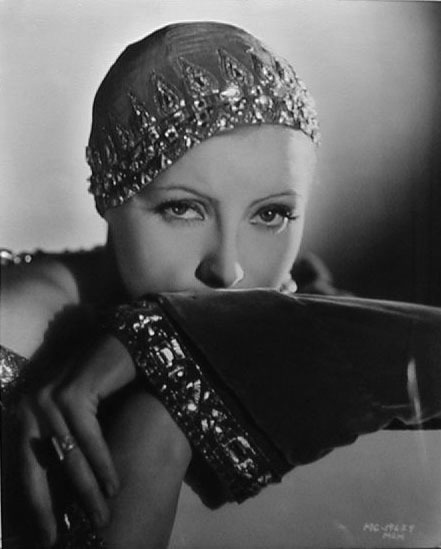 The film was a hit and led to another exciting title role in "Mata Hari" in 1931. Greta continued to give intensified performances in whatever was handed her. The next year Greta was cast in another hit "Grand Hotel". But it was MGM 1935's "Anna Karenina" where she, perhaps, gave the performance of her life. She was absolutely breathtaking in the title role as a woman torn between two lovers and her son. 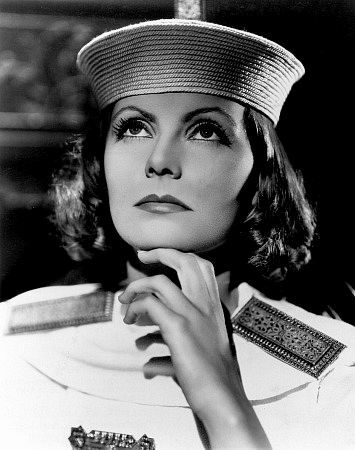 In 1939, Greta starred in "Ninotchka" which showcased her comedic side. It wasn't until two years later in 1941 she made what was to be her last film that being "Two-Faced Woman", another comedy. After World War II, Greta, by her own admission, felt that the world had changed perhaps forever and she retired, never again to face the camera. 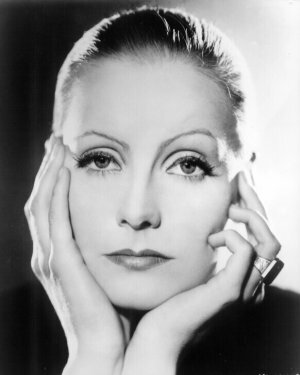 She would work for the rest of her life to perpetuate the 'Garbo mystique'. Her films, she felt, had their proper place in history and would gain in value. She abandoned Hollywood and moved to New York City. She would jet-set with some of the world's best known personalities such as Aristotle Onassis and others. She spent time gardening flowers and vegetables. In 1954, Greta was given a special Oscar for past unforgettable performances. Time went by. She was occasionally seen (and sometimes photographed) around New York City. In 1990, she penned her biography. 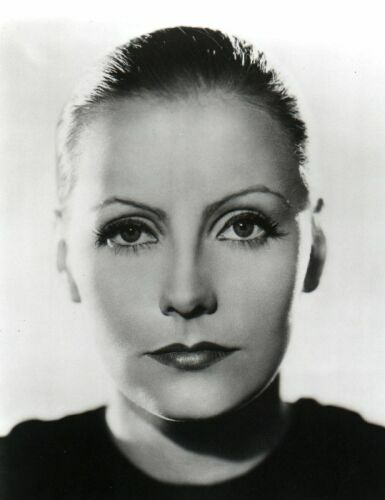 On April 15th of the same year, Greta died of natural causes in New York and with it the 'Garbo Mystique', at the age of 84. Source: The Internet Movie Database. Click here to see a mural I made of Paras pictures! 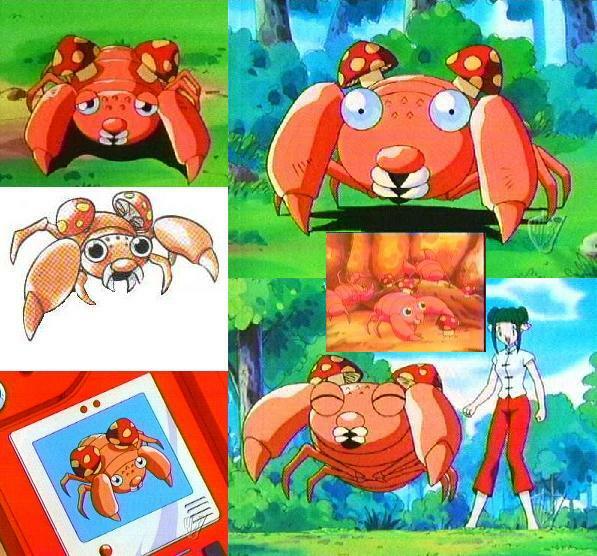 :) If you'd like to see one of the best Pokemon web pages on the internet, click here and then click the Pokemon button. They have sound clips from the TV show, and tons of screen grabs from various episodes and from books! Ryan's Drawings- Drawings I have done. Renditions of Rage- Drawings people have done of Rage, my old RP character. About Ryan- Want to learn about me? See some clean photos? :P Click here. Jewelry Stores in Oregon- Jewelry stores that I thought were worthy of mentioning, and a description of what you might find therein. Peacock House Gallery- A section about an old old house down the road from me in RL. Old Steel Bridge Gallery- A section about a HUGE bridge that used to be in my town. Ryan's Trip to Canada!- My trip to Canada during Spring Break of 1999. Ryan's Trip to Josh's!- My trip to Josh "Rap's" place in August of 1999. Strange and Misc.- Strange things like the Old San Francisco Clift House that had a museum about the circus member Tom Thumb, etc. Just odds and ends that I haven't been able to classify into other sections. people have visited this site! Free counters provided by Andale. NOTE: I can't view private messages anymore in my guestbook, so just email me. Rage the Echidna is © Ryan Thompson. Cadillac is © General Motors. All song recordings on this page are © their respective owners, and whenever possible, the record company is credited. The audio files are for educational purposes only - I am not making money off them. All characters other than Rage on this page are © their own players. All currency displayed on this page is © the United States Treasury Department and is not to be fully reproduced. Gemstone images are © me, the Tower of London, the Smithsonian Museum, the Russian Diamond Treasury, The Louvre in Paris, and some other museums and collections. Rolls-Royce is a trademark of Bavarian Motor Works.